naked Hub, APAC’s largest co-working operator has just entered Hong Kong and are planning to launch a pre-accelerator programme with Startup IO to help non-technical entrepreneurs to build their product prototype. Flora Yu talks to Bill Yuen from Startup IO and Deborah Negrash from naked Hub to find out more. Q: Congratulations Deborah for naked Hub’s recent launch in Hong Kong. Can you tell us more about that? Deb: Sure. naked Hub is APAC’s largest co-working operator — we have opened naked Hub@Bonham Strand in July, and our second location on New Street is scheduled to open in Q3 of 2017. naked Hub currently has 21 hubs across China, Hong Kong and Vietnam, and we have recently announced a merger with JustCo, the largest co-working operator in Singapore with up-coming hubs in Bangkok, Kuala Lumpur and Jakarta. Our combined footprint will span 9 cities and 6 countries with 41 locations, gathering over 8000 companies and expected to attract 32,000 members. By the end of 2019, naked Hub plans to open 10 additional Hubs in Hong Kong, serving up to 10,000 individual members and hundreds of businesses. 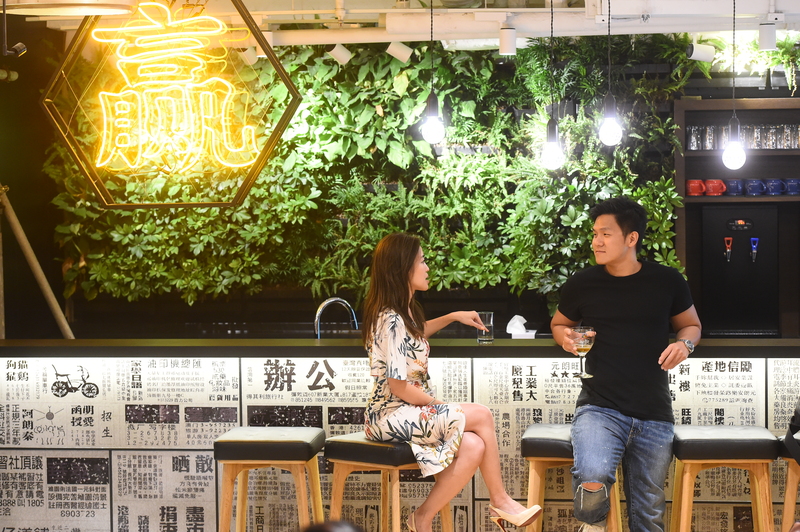 Q: As a player in the startup ecosystem in Hong Kong, do you have any advice that you can offer to startups when choosing a co-working space? Bill: Happy to share my thoughts. To me, operating team and community are the two things that I always look at when choosing a co-working space. A good co-working space operating team should do two things well: (1) help first-time founders acclimate to the startup world, and (2) create the right kind of conditions for startup founders to succeed. The operating team establishes the community’s values and personality, and these two ingredients created a unique culture. The culture, in turn, affects how startups within the community behave. This is no different from how tribes, villages and societies are created. Q: Bill, how have you found Hong Kong’s startup scene? Any pain points that you have noticed? Bill: App studios are very expensive and can easily go out of budget for most startups. Traditionally, they are designed to take on enterprise-level projects with well-defined project scope. These teams charge you every time for a change or a new feature. This further adds to the costs of startups and is exactly opposite to their way of working. Startups need a programming team that can iterate their prototype quickly based on market feedback without extra charge. Freelance programmers are less expensive, but still not cheap. Cost aside, my biggest concern with freelancers is that they normally have a full-time job, which means they can only put in part-time hours in building your product. It takes forever for them to complete your project. The one common problem that both app studios and freelancers have is that they cannot or will not think deep into your product. Your product is only one of the many projects that they are working on simultaneously. As a non-technical founder, you need someone that works like your CTO, guiding you through the product development journey. We’ve seen so many first-time non-technical founders suffer from building products filled with useless features from working with these outsourcing solutions. To expand Hong Kong’s startup ecosystem, we need to help non-technical people, which account for 95% of the city’s population, to overcome this technical barrier. Q: Do you guys have any plans to solve this problem? Bill: Yes we are launching Startup IO x naked Hub pre-accelerator programme on 14 September (link to launch event found here). It is a 3-month, intensive programme to help non-technical founders to grow from the ground up to becoming investment-ready ventures (or quality for accelerator programmes) without breaking their bank. Q: Will Startup IO x naked Hub take any equity? How can it help startups to connect to investors? Bill: No we don’t take any equity, and we don’t provide any seed funding either. Deb: However, the team may connect startups with the right opportunities within the naked Hub community, including fundraising opportunities, collaborative or cross-border opportunities wherever we see a fit. Q: Apart from what we’ve just discussed, how is the Startup IO x naked Hub pre-accelerator programme different from other programmes in Hong Kong? Bill: It targets specifically the non-technical founder segment. Deb: We do not have cohorts, but accept applicants on a rolling basis. We accept applicants based outside of Hong Kong as long as you have an “all-in” mindset to make your business a success. 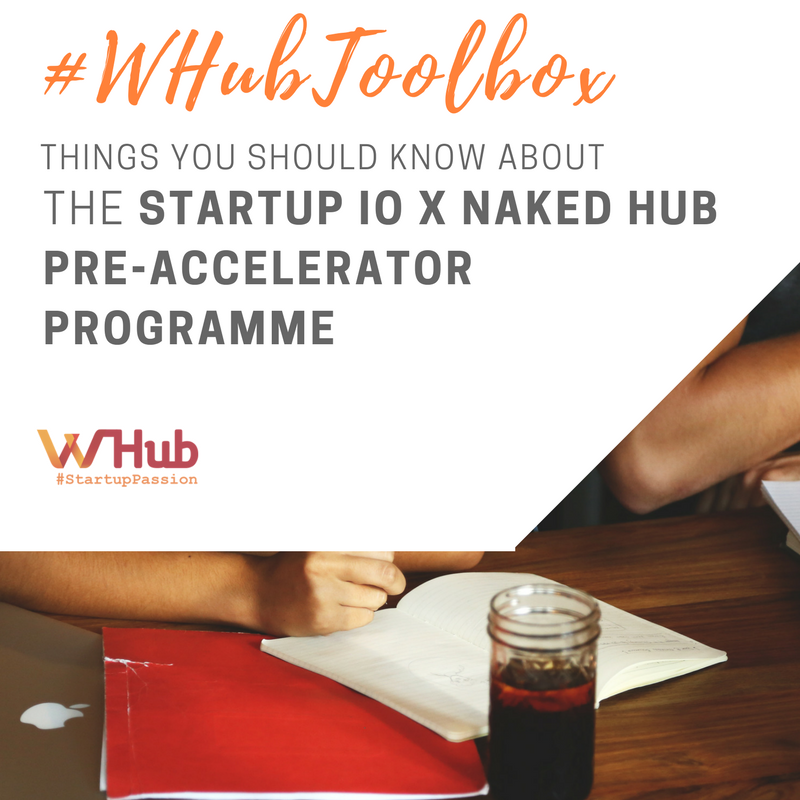 To find out more about the accelerator programme, check out their launch event, and the following websites: http://startupio.com/nakedhub, startupio.com, naked hub.com. Flora has worked in consulting firm, serving MNCs, SOE, POE and FTSE 100 companies, covering strategy and M&A integration projects. She studied at University of Cambridge and London Business School and has worked in London, Beijing, Shanghai, Hong Kong and Taipei. Bill Yuen is a Hong Kong serial entrepreneur. 7 startups, 4 failed, 3 exits. He founded his first venture at age 18 (entertainment), second at age 22 (wearable technology), fourth at age 26 (media), and seventh at age 30 (artificial intelligence). Startup IO is his latest project. Deborah Negrash is the General Manager of naked Hub Hong Kong, overseeing the launch of the brand in Hong Kong, the overall operations, sales and the pipeline of Hubs opening throughout the city. She joined naked Hub in April 2017 after two years at Protek Asia Ltd as Director of BD APAC and an eight-year tenure at The Executive Centre as Corporate Director of HR, Group Head of South & West China & Group General Manager (South China).